Spring Clean Up (March-May)-$69.95 Pricing is for one dog. $10 added for each extra dog. 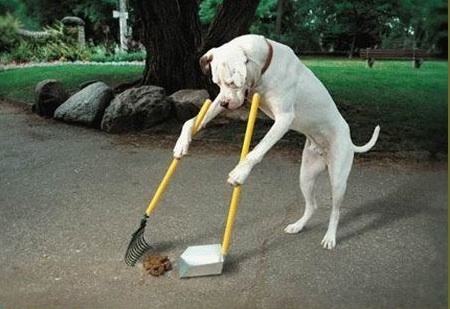 Spring Clean Up: a yard that needs to be cleaned after the snow melts, revealing a whole winter's worth of dog waste. One Time Clean Up- a yard that a client would like cleaned only one time, but would not like to sign up for routine cleanups. Price is for a city sized lot. For yards that are larger, prices may increase but will be made clear during initial visit. Also service kennels, larger yards, vet clinics, pet shows, apartment buildings, etc. Call for a quote. -For any services that lapse over a month, the One Time Clean up rate will apply for future services. 5 or more dogs-Please call for a quote. Buy 3 months ahead and save 15% on any service! Please allow at least 2 business days to arrange for services to be delivered. The Pet Poo Pros, LLC will provide services up to 10 miles outside of Willmar. Mileage will be charged at at rate of $0.50 per mile to do any services beyond 10 miles. If Only Dogs Only Did This, Right? $15 per visit to home. Animals need to be current with Veterinarian visits and all shots.